At Care Animal Hospital, we are committed to our patients’ dental health and implement the highest quality dental care. We take a comprehensive approach, including a dental health assessment at each comprehensive exam, instructions on home care to prevent dental problems, and state of the art professional care provided by a highly trained team. Studies show that 50% of all dogs and cats have some form of periodontal disease, which can lead to diseases of the kidneys, heart, and other organs in the body. The exciting thing about dental care is that disease can often be prevented or slowed with HOME CARE, so a big part of our commitment is to help you prevent dental disease in your pet. 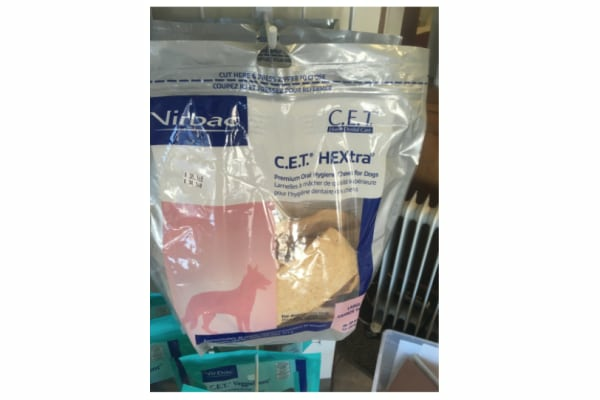 Care Animal Hospital also stocks a FULL RANGE OF DENTAL PRODUCTS that can help prevent the formation of plaque, calculus, and more serious dental disease in our furry patients. 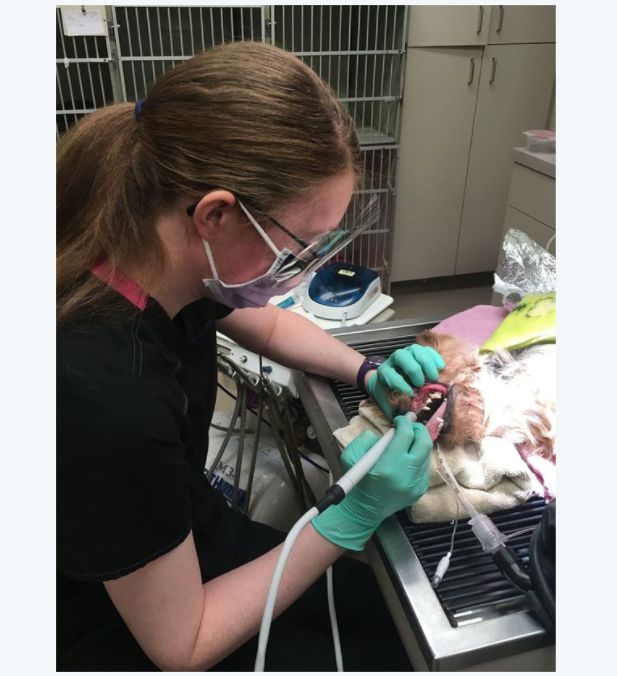 When problems do arise, sometimes due to disease processes that are hard to prevent, the Care Animal Hospital Team is here to provide ADVANCED PROFESSIONAL DENTAL SERVICES to help return every pet to good dental health, using the highest standards of anesthesia and monitoring and our highly skilled veterinary dental team. Brushing my pet’s teeth? Isn’t it hard to get a pet to cooperate with tooth brushing? When puppies and kittens are introduced to early mouth handling, it becomes much easier to introduce tooth brushing, and when followed by a treat, most pets will readily accept the procedure. 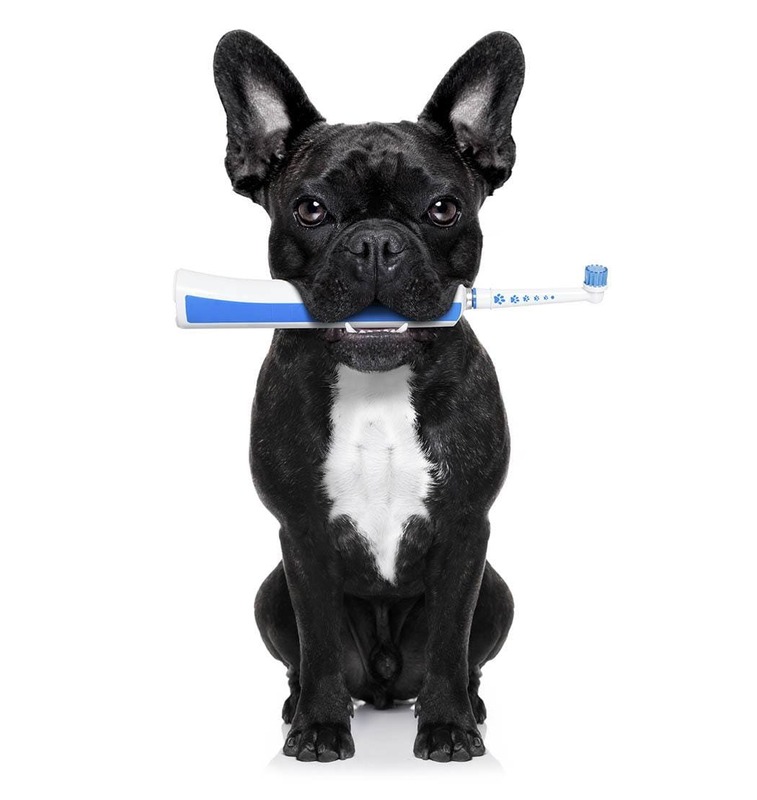 At Care Animal Hospital we are committed to helping you with brushing your pet’s teeth. We provide a free toothbrush and paste samples to get our clients off to a good start. We also meet clients, both new and old, at no charge for training sessions on brushing and for evaluations of how the dental care plan is working. Products and food are available that can decrease the formation of plaque and calculus, slowing the progression of dental disease. Care Animal Hospital stocks many products to help pet owners effectively block the formation of plaque and tartar on their pets’ teeth. 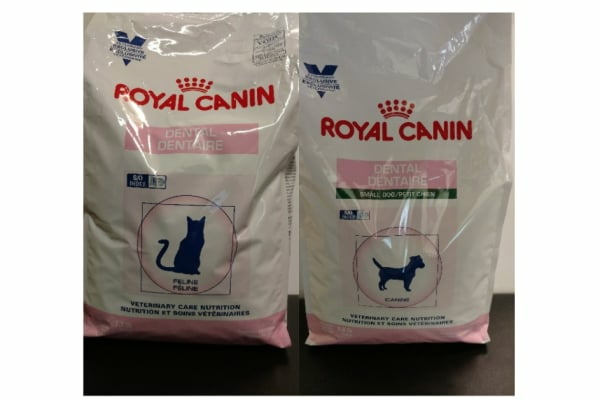 Royal Canin makes both dog and cat food formulas that have proven benefits to decrease tartar formation. These products have a money-back guarantee if a pet does not accept the new food, but we have been very impressed with the palatability of the foods and the benefits to pets from these formulas. 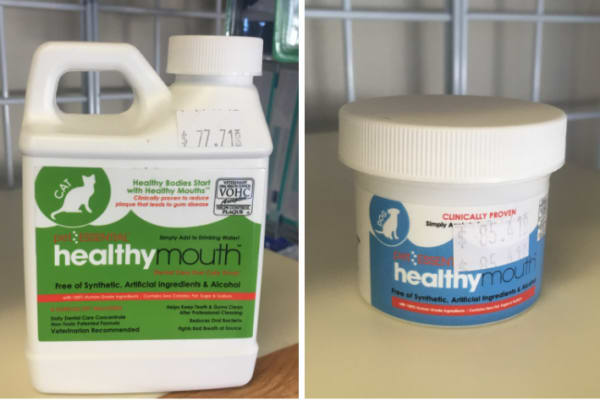 Healthy Mouth Water Additive and Topical Gel (formulated for both dogs and cats) are products that have been independently evaluated and given the VOHC (Veterinary Oral Health Council) seal of approval. The water additive is used at 1 tsp per quart, and the topical gel is used in place of tooth paste, to decrease the formation of plaque. Go to www.healthymouth.com for more information on this very effective product. 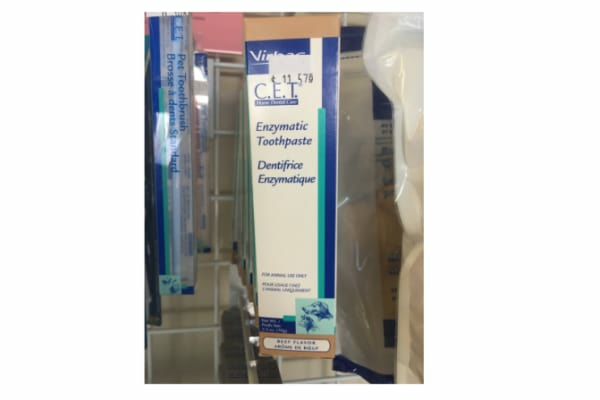 CET paste comes in multiple flavors and is suitable for both dogs and cats in home tooth brushing. Pets can safely swallow the paste and thanks to its pleasant taste, most pets readily accept it. Greenies Dental Chews are made for both dogs and cats, and have abrasive action to help remove soft plaque. 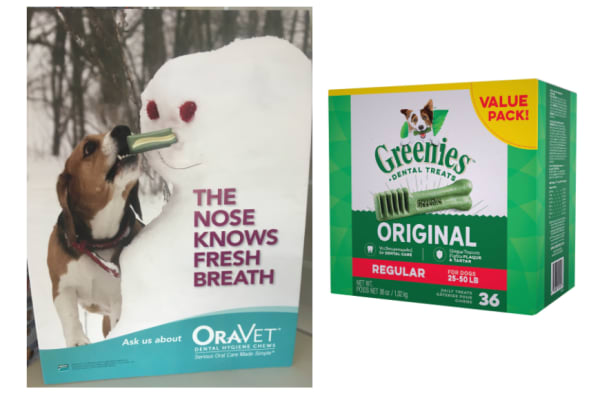 Oravet Dental Hygiene chews have been designed to create a protective barrier that keeps your dog’s mouth clean and fresh. They have been independently tested and awarded the VOHC seal of approval. The unique cleaning action of OraVet Chews is due to an ingredient called delmopinol. Used for years in a human oral rinse, delmopinol creates a barrier against the bacteria that lead to the formation of plaque, tartar and bad breath. Go to OraVet.com to see a video on how delmopinol works. CET Chews are made for dogs that like to chew a rawhide strip. These strips, made in the USA, provide a way for dogs to remove early plaque and soft calculus and keep the tooth/gum border clean. Dogs should chew the rawhide strips for 20 minutes or longer to make them an effective way to prevent the tartar accumulation. DOGS SHOULD ALWAYS BE MONITORED WHEN CHEWING any rawhide product, because some dogs have been known to gobble them and have trouble swallowing them. 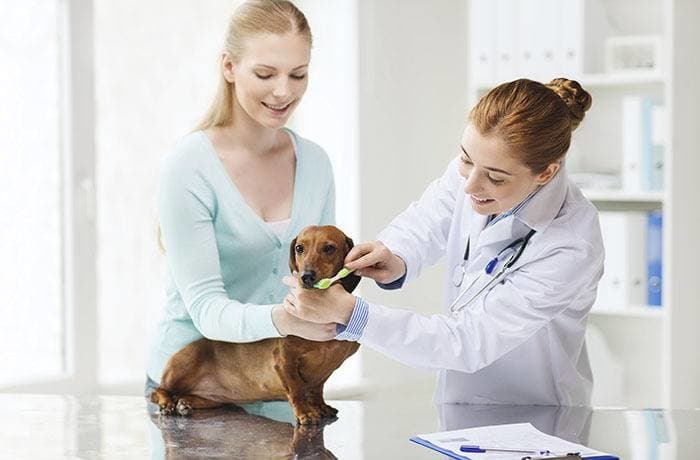 Laboratory tests are performed in advance to be sure that the kidney and liver functions of the pet are normal, and that the animal can safely handle the anesthetic and the dental cleaning. When the pet arrives on the day of the cleaning, it is thoroughly examined by the doctor to be sure the heart and lungs sound normal. The doctor reviews the dental condition of the pet and discusses the pet with the other team members helping with the dental cleaning. The pet is given a pre-anesthetic drug combination specifically designed for that animal, to help it relax. An IV catheter is placed in a vein of the animal, assuring a safe portal for delivering injectable anesthetic and IV fluids during the procedure. An endotracheal tube is placed to deliver inhalational anesthesia (the safest type available). Monitors are attached to measure the heart rate, blood pressure, temperature, and other values that help the technician monitor the status of the pet. The teeth are examined carefully, and the gums are probed for periodontal pockets. This information is recorded on an individual form for each animal and reviewed by the veterinarian. A thorough scaling and polishing of all of the teeth is performed, and digital dental radiographs are taken of any teeth that the veterinarian suspects might have a problem. Our veterinarian often then calls the owner with an update on what was found and recommendations to treat any problematic teeth that were discovered. With the owner’s permission, these procedures are then carried out. The pet is recovered from anesthesia under the watchful eye of the trained veterinary team. Medications and a homecare instruction sheet are prepared to detail what was done, provide before and after pictures, and outline medications and follow-up directions for each pet. Future dental rechecks are planned to be sure all of the dental sites have healed.